This year, Project Learning Tree is celebrating its 40th anniversary! Back in 1976, the United States celebrated its Bicentennial and the first Earth Day had taken place a few years earlier. Many of the environmental laws and educational reforms now part of everyday life were new on the books or barely imagined. And who knew you would be reading this on a computer screen, let alone on a small handheld device? Back in 1976, natural resource managers and educators from the then-American Forest Institute (now Foundation) and then-Western Regional Environmental Education Council (now Council for Environmental Education) developed and launched the first PLT workshops in ten states. Forty years later, educators in every U.S. state and many countries around the world are using PLT elementary and secondary materials with their students. Over 40 years, PLT has trained more than 675,000 educators through in-person workshops. Environmental education is key to giving people the understanding and motivation needed to address many of our complex 21st century problems. Project Learning Tree teaches students how to think, not to what to think about complex environmental issues. But, just as the world has changed over the past four decades, so has PLT. We have built on our original vision of using the forest as a window to increase students’ understanding of their environment. Our current PreK-8 guide, for example, helps educators meet many challenges, such as a strengthened emphasis on reading comprehension and differentiated instruction. Our Early Childhood guide gets children into the outdoors, experiencing nature at an early age. Our series of secondary modules introduce exciting, thought-provoking activities that encourage older students to explore the communities in which they live. Our service-learning programs, GreenSchools and GreenWorks!, inspire students to take personal responsibility for improving the environment at their school, at home, and in their communities. And, for educators at all grade levels and experience, we offer state-of-the-art professional development to make PLT materials rewarding and easy to use. One of the biggest changes this century is the rise of technology. It has changed our lives forever, and our use of technology continues to grow at a galloping pace. Today, anyone with an internet connection can take classes online, and students and teachers have access to more educational content than ever before with online videos, lessons, apps, interactive live broadcasts, networking forums, and more, that can supplement their learning. The rise of social media has been particularly swift and widespread. PLT has embraced these tectonic shifts in technology to reach new people in virtual ways. We now offer online professional development courses for those who can’t make it to an in-person workshop. And exciting new online instructional materials for grades K-2, 3-5, and 6-8 will debut soon. Our goal with new online technologies, including networking on social media, remains the same. We want people to experience the “real” environment, and we provide the inspiration, help, and encouragement to do just that. While PLT strives to keep pace with change, our vision remains the same. We are committed to creating a future where the next generation values the natural world and has the knowledge and skills to sustain forests and the broader environment. During the coming year, join us on Facebook, and follow us on Twitter, as we take a look back – and a look forward. We’ll share important milestones, along with stories about our passionate educators and students who are making a difference in their world. Whether you were teaching back in ’76 or weren’t even born yet, help us celebrate being 40 years young in 2016! 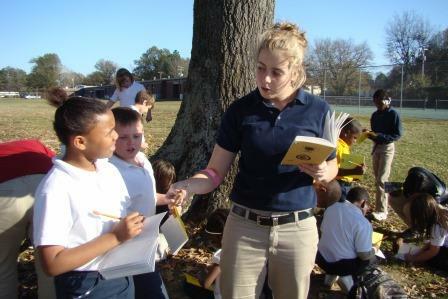 Photo 1: Students at Brinkley High School in Arkansas teach elementary students about trees and their environment. 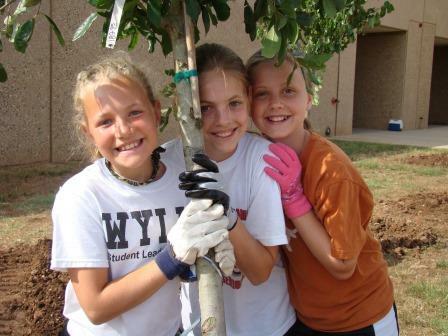 Photo 2: Students at Wylie Intermediate School in Abilene, Texas improve their environment by planting a tree on their school grounds.